We have developed expertise in offering industrial blenders & mixers are fabricated with graded raw material to ensure high efficiency and smooth functionality. Available in different specifications, these mixers can also be customized within stipulated period to suit the diverse requirement of the clients. Our range of industrial blenders includes ribbon blenders, octagonal blenders, industrial ribbon blenders and many more. 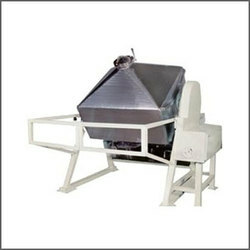 We manufacture a wide range of ribbon blenders which is widely demanded in commercial applications. These ribbon blenders are fabricated using superior quality raw material and can be customized as per the specifications of our clients. The ribbon blenders has an application specific rotor mixing element design which allows shorter batch cycle times due to increased mixing efficiency. Our range also provides efficient mixing which gives good heat transfer through optional ASME Code designed jackets for heating or cooling applications. Material finishes ranging from industrial coatings to dairy grade polishes are available. We offer clients a wide range of octagonal blenders which are flexible blending machines used for mixing and lubrication process of granules. 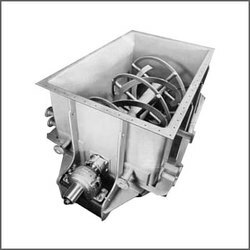 These industrial octagonal blenders provide best results due to very slow speed and octagonal shape of the container. It is widely used in different industries like pharmaceutical, food, chemical and cosmetics. Model 250 to 2000 ltrs.